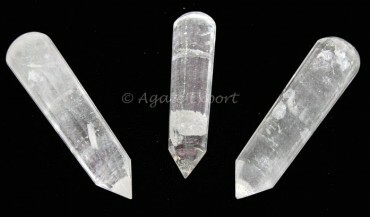 Crystal Quartz 16 Faceted Massage Point can be found on Agate Export. Doesnâ€™t it look good for decoration? It will create a positive environment.